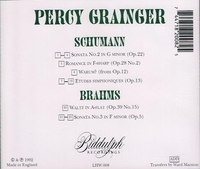 “Percy Grainger was an Australian-born composer, arranger and pianist. In the course of a long and innovative career he played a prominent role in the revival of interest in British folk music in the early years of the 20th century. He also made many adaptations of other composers' works. 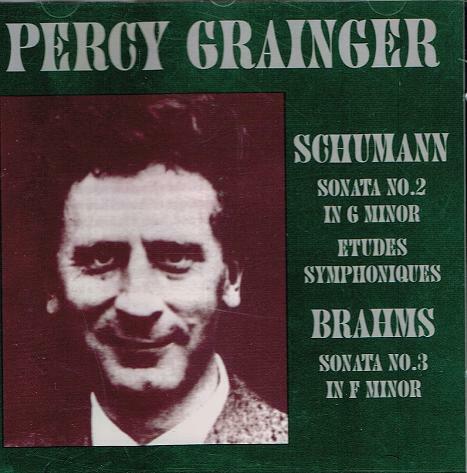 Although much of his work was experimental and unusual, the piece with which he is most generally associated is his piano arrangement of the folk-dance tune ‘Country Gardens’. As his stature in the music world increased, Grainger became acquainted with many of its leading figures, including Vaughan Williams, Elgar, Richard Strauss and Debussy. In 1907 he met Frederick Delius, with whom he achieved an immediate rapport – the two musicians had similar ideas about composition and harmony, and shared a dislike for the classical German masters. Both were inspired by folk music; Grainger gave Delius his setting of the folksong ‘Brigg Fair’, which the older composer developed into his famous orchestral rhapsody, dedicated to Grainger. The two remained close friends until Delius's death in 1934.